Choosing the correct thermostat is crucial to ensuring that your heating system works effectively, efficiently and easily. 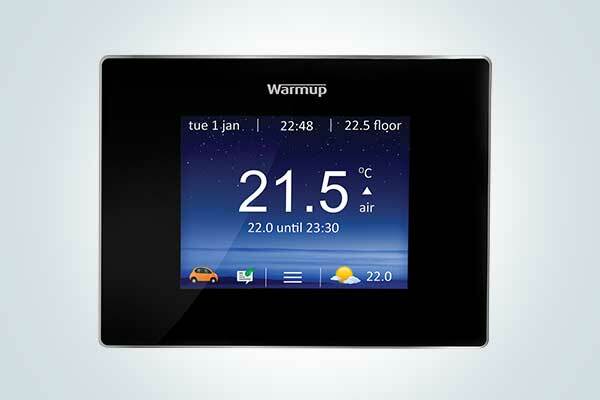 To provide you and your home with an optimum heating experience, Warmup offers a wide range of underfloor heating controllers from simple manual thermostats to the latest, remotely accessible Smart thermostats. 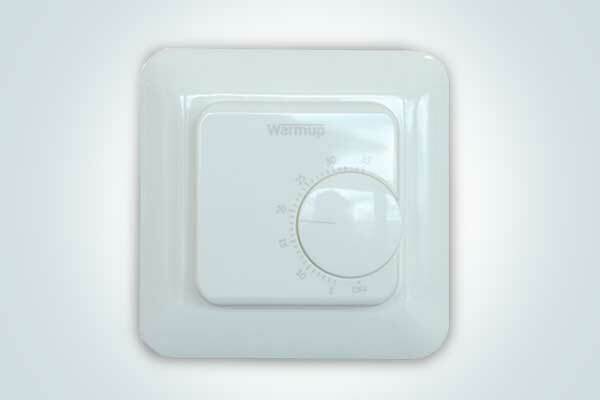 With over 20 years of innovation and expertise, Warmup’s range of Underfloor Heating Thermostats offer you the best solutions in heating management. Whether you are looking for a simple, dial-based electric underfloor heating thermostat or a technologically advanced Smart Underfloor Heating Controller – we have a variety of options to suit all your heating requirements. Avoid wasting energy and achieve big savings on your energy bills by installing a Warmup Underfloor Heating Thermostat in your home. 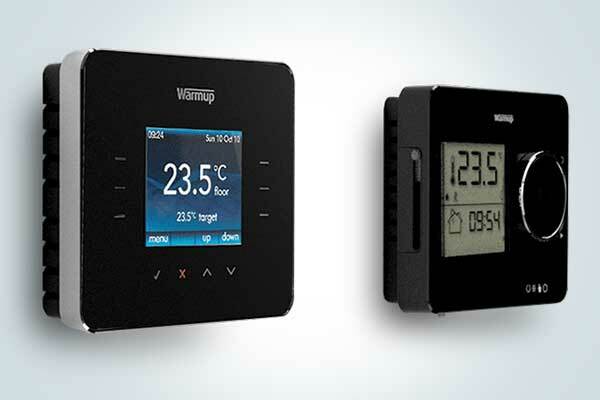 Working automatically, with wireless communication and app-based technologies, Warmup’s range of smart thermostats are our most advanced heating controllers. Make a smart decision today and take control of your energy bills whilst enjoying beautifully optimised heating, effortlessly. Simpler than our Smart Thermostats, Warmup’s Programmable Thermostats allow you to program your heating usage – allowing personalisation for your home heating schedule. For use with underfloor heating systems. 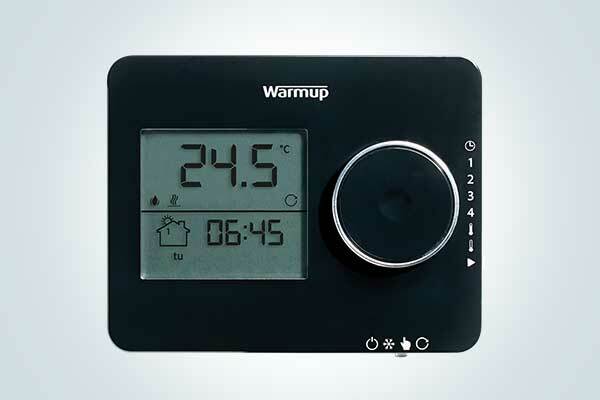 If you prefer a simple, dial-based thermostat to control your underfloor heating system, have a look at Warmup’s range of Manual thermostats. Easy to use – just twist to control for immediate heat. Know which type of thermostat is right for your home’s heating system? 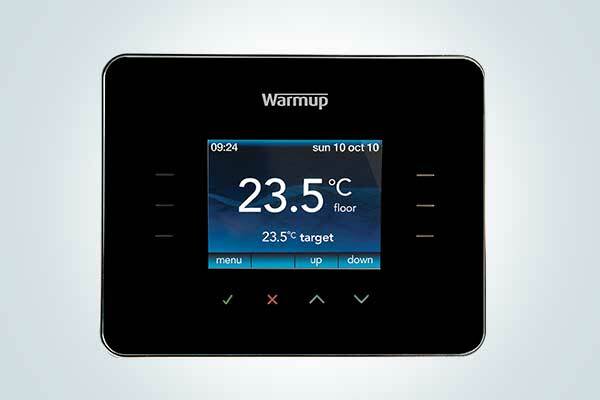 See below for the complete Warmup range of underfloor heating controllers. The 4iE Smart WiFi Thermostat finds the smart way to heat your home more efficiently. 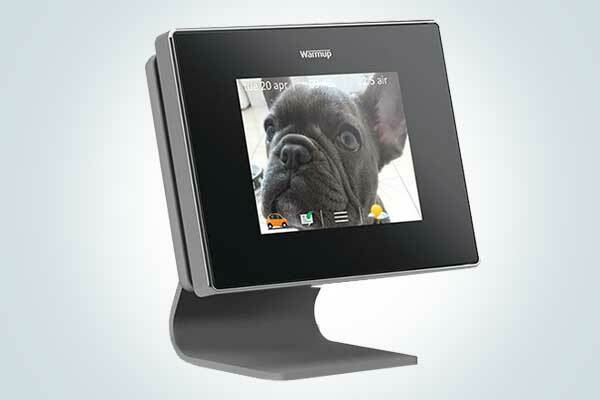 Programmable, energy-monitor thermostat that offers precise temperature control. Programmable thermostat with easy to use dial and sliders. No need of programming, simply target your desired comfort temperature. Not certain which type of Underfloor Heating Thermostat is right for you? Read our buying guide to learn exactly which Warmup underfloor heating thermostat would suit you and your heating system.